Another image of the Milky Way that I took on a bullet trip with Wayne Wendel. The tree growing out of the top of the boulder was icing on the cake! 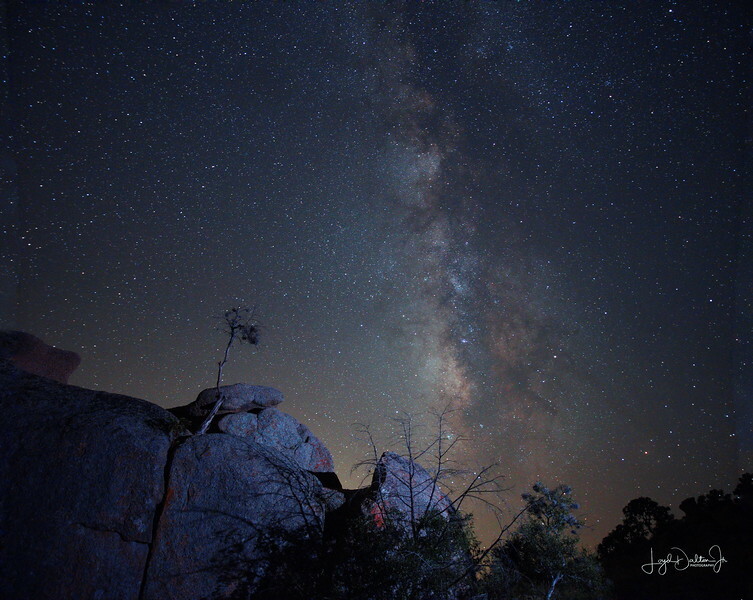 You can't do much better than catch a Milky Way over a place named Enchanted Rock! Wow! My word Loyd, you are indeed the master of these types of shots. And the lone tree growing out of Enchanted Rock is like the icing on the cake. I haven't been to Enchanted Rock in probably 30 years or more. This shot reminds me of how amazing it is. Well done! One of your very best, outstanding Loyd. Fabulous image... incredibly well done! Excellent capture of the milky way with an interesting foreground!